～Φ1250mm（49.21inch） | Search by Table Diameter | O-M LTD.
※ Numerals in parentheses"()"above are for APC specifications ( the column, however, is of standard specifications ). 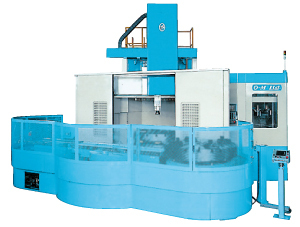 Combines high rigidity with high speed and high accuracy. ※ Numerals in parentheses"()"above are for optional specifications. Milling function and table indexing (C axis) function, in addition to turning. 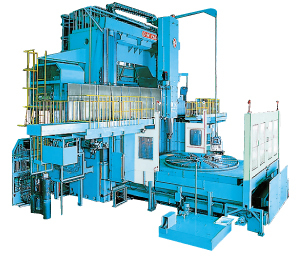 This enables a wide range of machining and centralization of machining processes. ※ Numerals in parentheses"()"above are for APC specifications. Turning center equipped with three-axis control (X, Y, Z) and table arbitrary-indexing mechanism. Heavy-duty angle head enables five-face machining with high rigidity. 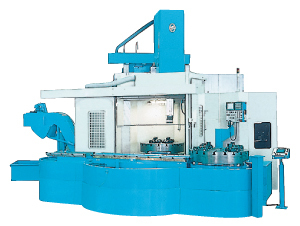 With the B-axis angle, this single machine can function as a vertical lathe, vertical machining center, horizontal machining center and oblique cutter. 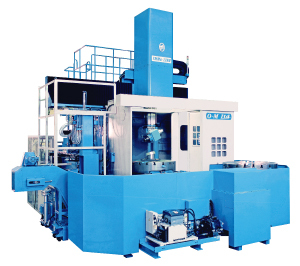 Common bed, single-pole column, 240 mm square ram, and two-face constraint (turning tool) for high rigidity.